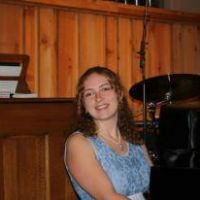 Additional Info: I began my journey as a pianist at the age of 5, with an amazing teacher who helped me recognize my potential and kept me motivated along the way. She taught me the Suzuki Method, where I mastered each song in each volume until I reached the end. I learned how to play by ear, read music, compose and improvise, and was also trained in music theory and history. My training was finally complete when I graduated from high school in 2009 and I received a Certificate of Mastery for completing the Suzuki training. Throughout my years of lessons, I participated in numerous recitals and competitions, winning Top Performer at my level in two State Federation of Music Festivals. Now, I have decided to take my education to the next level by pursuing a bachelor's degree in music at MSU.